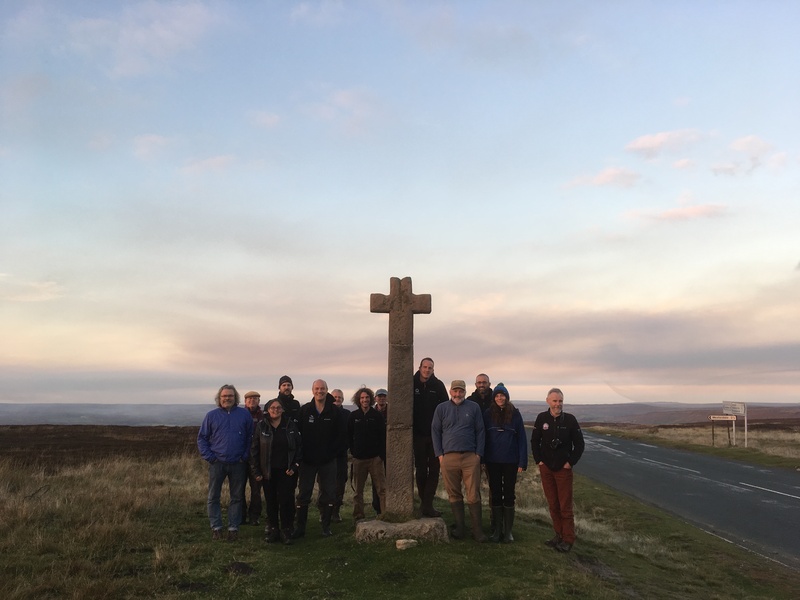 Around the North York Moors there are mediaeval place names that indicate the presence of managed woodland in the past, and in some cases the woodlands and the names are still present today. 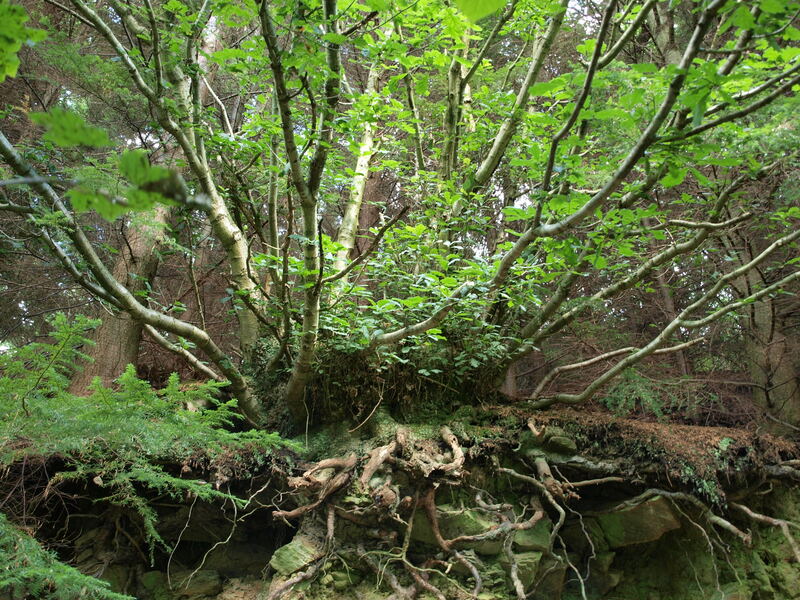 Where a woodland has existed for at least 400 years it is classed an ‘ancient’. 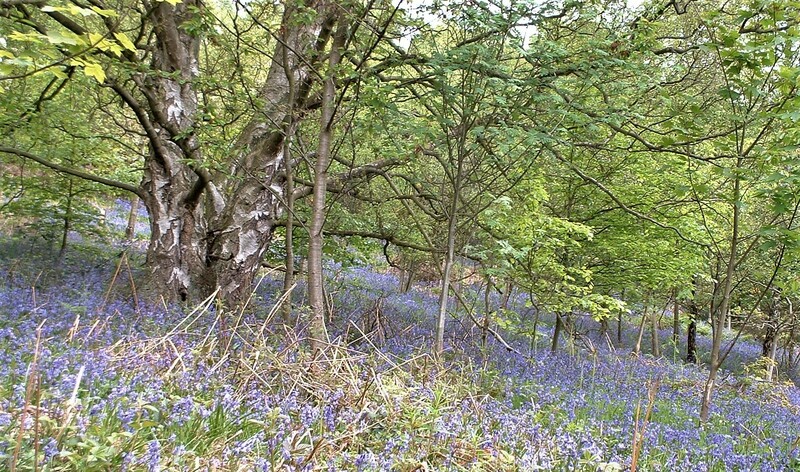 Hagg or Hag, Spring and Fall in a name suggest growing/managed/enclosed woodland. 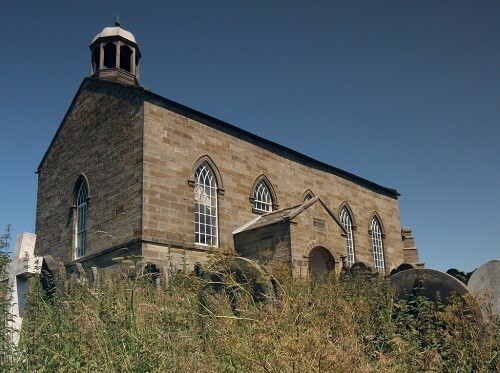 Hagg/Hag and Spring are both common in the North York Moors, Fall less so. 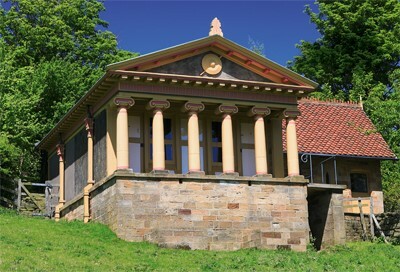 There are numerous unimaginative but practical occurrences of ‘Hagg Wood’ and ‘Spring Wood’, as well as Hagg End, Hagg House, Hagg Common, Spring House, Hagg Hall and Spring Farm. There are also both ‘Ash Hagg’ and ‘Birch Hagg’; these two tree species respond well to coppicing. Ancient woods are as near to natural as woodland can be in this country, however they are unlikely to be entirely natural. Most woodlands has been managed in some way in the past. In the mediaeval period timber, coppiced wood, pollarded wood and the underwood itself were valuable for fuel and materials. Woodlands were managed, just as fields were cultivated, to produce a valued crop. A managed wood could be sustained over time to regenerate with new wood growth and made to be valuable to its owner and others with rights to its commodities. Planting new woodlands (i.e. plantations) and waiting for years for the trees to grow required the luxury of long term thinking beyond normal life spans. The two main types of mediaeval woodland management – as recorded in the Domesday Book – were coppicing (silva minuta – small wood) and wood pasture (silva pastilis). 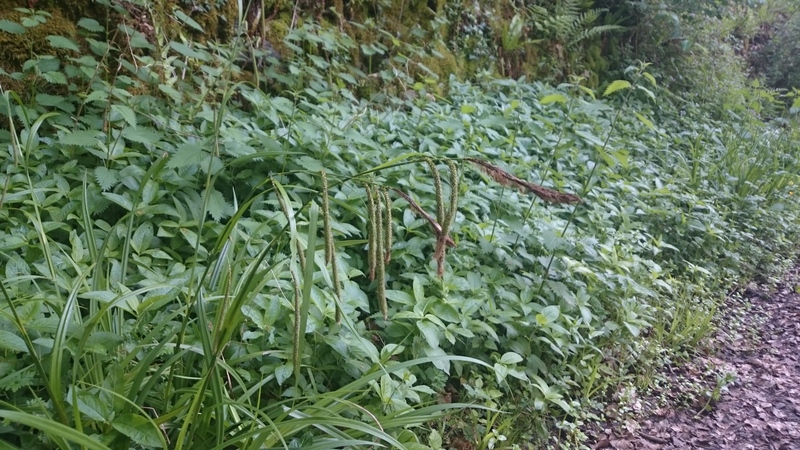 Coppicing is where the trunks of trees are cut leaving the stump to regrow, many native broadleaves respond well to coppicing and produce new wood. 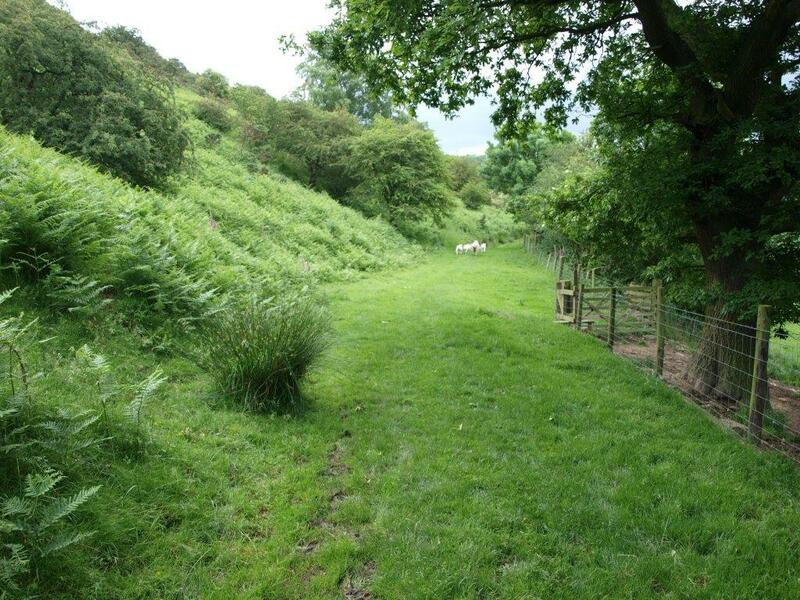 Areas of coppiced wood would need to be enclosed to prevent stock chewing on the new growth hence the use of the word hagg meaning fenced enclosure. By careful rotation over the years a coppiced woodland could be maintained to produce all sorts of different size and types of wood product. One particularly important product was charcoal or white coal (dried wood – not carbonised like charcoal), usually manufactured on site and used as fuel for nearby industrial enterprises such as iron production. The big medieval monastic organisations e.g. Rievaulx Abbey, were early industrial pioneers. 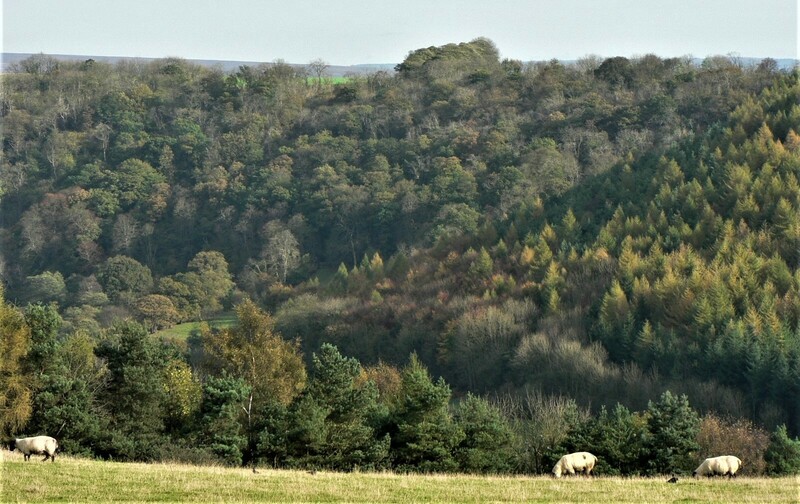 Close to the Rievaulx site are Lambert Hag Wood, Greencliffe Hag Wood, Abbot Hagg Wood and Hags Wood. Wood pasture was usually common land where commoners could graze stock and collect firewood and occasionally timber. The presence of stock would keep the number of trees down as they nibble at new growth. Without continued grazing, sites of previous wood pasture may now have become denser woodland. One element that might indicate a wood pasture origin is the presence of pollarded trees – lower branches were removed to encourage growth higher up in the trees to produce new wood out of the reach of the stock. The shapes of the oldest trees may still indicate this past practice. About half of Britain’s ancient woods are still made up of native trees and so are known as ‘ancient semi-natural woodlands’; others have been planted with newer non-native species. Ancient semi-natural woodlands have usually regenerated through coppicing or by the natural regeneration of native trees on the site. Only 1.2% of Britain is ancient semi natural woodland. 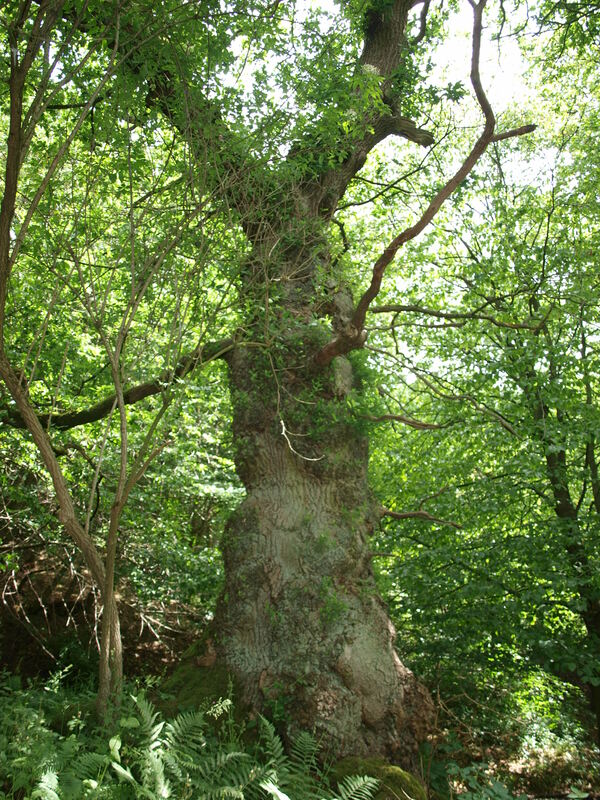 Ancient woods provide a link between man and his environment over time and so are of cultural and archaeological as well as landscape importance. An ancient wood also provides a specific biodiverse habitat – soils which have only been minimally disturbed and contain remnant ground flora and fungi, as well as native tree stocks that have regenerated in that place, over the centuries. The habitat still requires management to replicate the past and retain the open woodland species which developed. Once any of these elements are lost, they cannot be replaced and the ancient woodland becomes a fragmented echo of itself. Thanks to Historical Atlas of North Yorkshire, edited by Robin A Butlin. As my role in the Conservation Department develops I am getting more involved in woodland planting/creation, and woodland habitats. 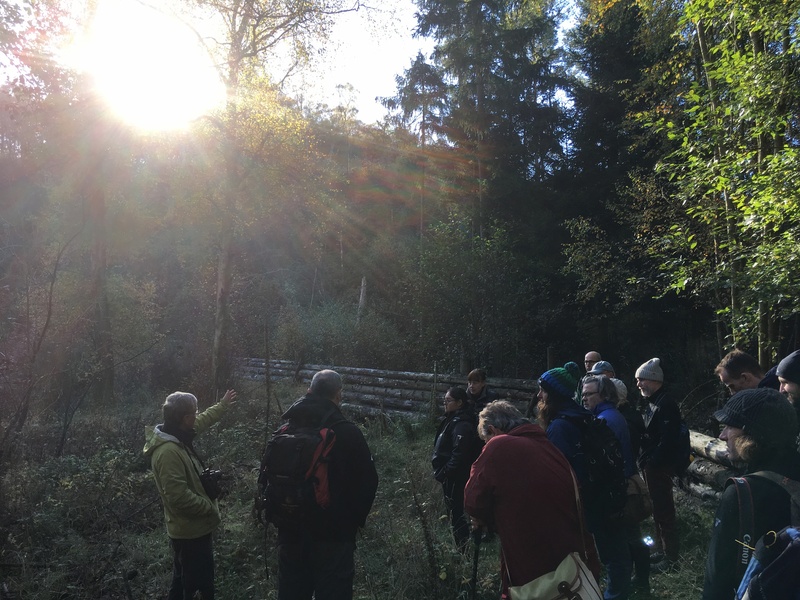 To this end, I recently attended a Field Studies Council weekend course on Identifying Woodland Plants. 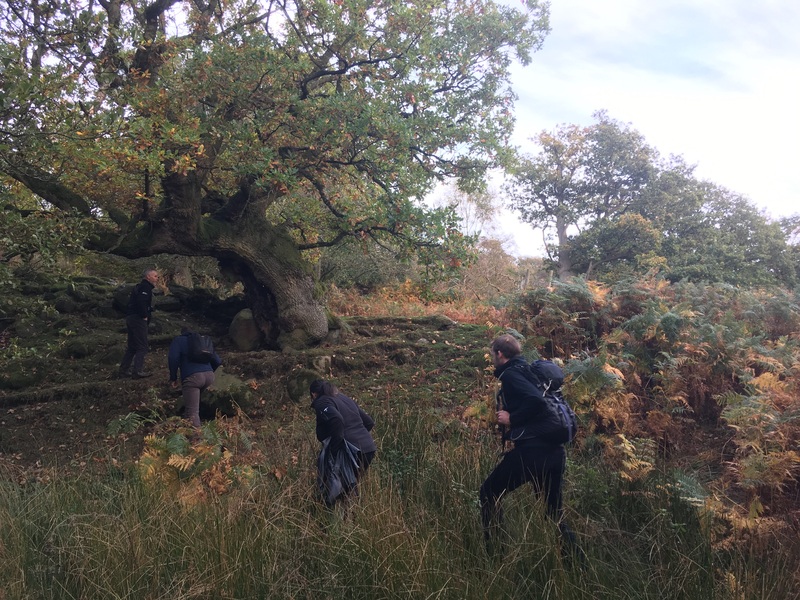 Over the three days we looked at not only typical woodland wildflowers and trees, but also the bryophytes, ferns and grasses which make up an important part of any woodland ecosystem. Plant identification enables a recognition and understanding of a habitat which then helps inform management. 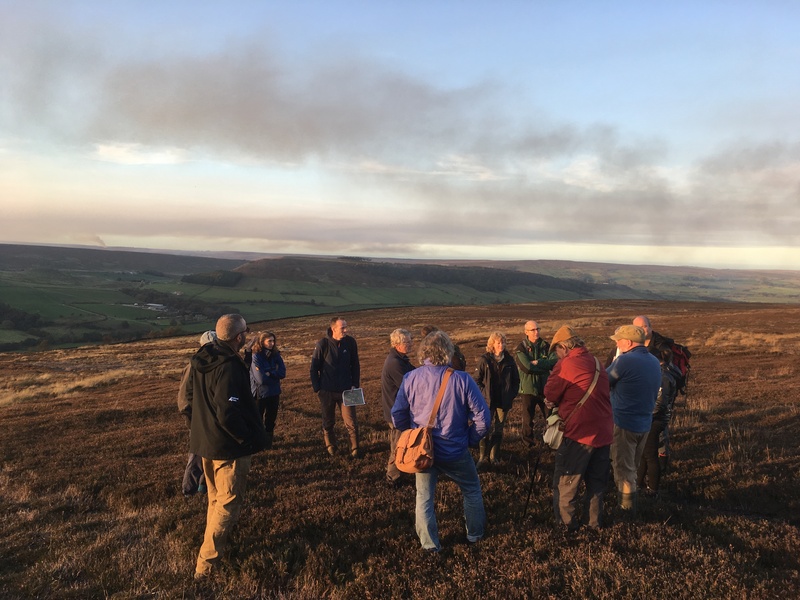 In the North York Moors we have a lot of ancient semi-natural woodland (ASNW) as well as what is known as plantations on ancient woodland sites (PAWS) where semi natural woodland has been planted up with commercial forestry in the past but where ancient woodland features still persist. If you walk through a woodland and see combinations of bluebells, daffodils, yellow archangel, celandine, wild garlic you might be forgiven for thinking you are in an ancient woodland because you are looking at typical ancient woodland ground flora. However, all of these species have garden imposters which look similar, and might have been introduced. Yellow archangel (Lamiastrum galeobdolon ssp. montanum) for example, is an ancient woodland indicator species, whilst the garden variety of the plant (Lamiastrum galeobdolon ssp. argentatum) is an invasive plant usually grown as ground cover in gardens. This garden variety of Yellow archangel is classified as a Schedule 9 plant under the Wildlife and Countryside Act 1981 meaning it is an offence to release it into the wild. Quite often the garden imposters are brought into woodlands by people dumping garden waste or tracking seeds in on boots or vehicles. They are therefore usually found on the edges of woodlands at first, but can very quickly colonise inwards. We spent a large part of the course looking at the species that can be easily confused. These include examples such as Wood speedwell and Germander speedwell, Yellow pimpernel and Creeping-Jenny, Wild strawberry and Barren strawberry as well as trees such as Beech and Hornbeam. When plants are in flower identification can be easy enough but we also focused on vegetative characteristics so as to be able to recognise plants when not in flower. For example, the terminal tooth on Barren strawberry (Potentilla sterilis) leaves is generally shorter than the two surrounding side teeth, whereas on Wild strawberry (Fragaria vesca) the terminal tooth is longer than the side ones. 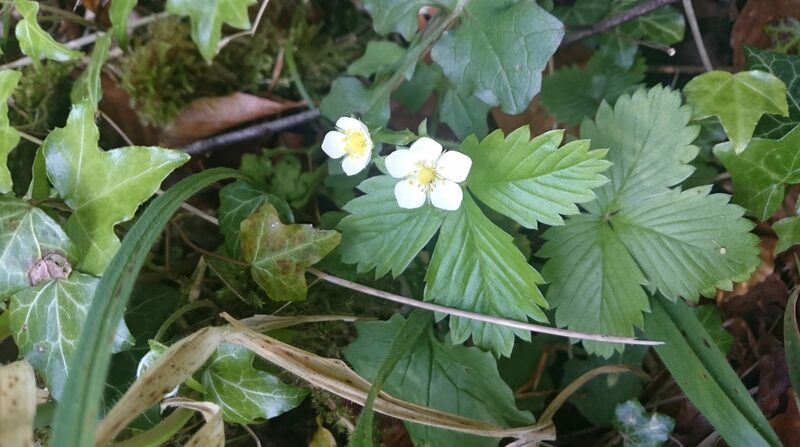 This is an important distinction to make as Barren strawberry can be a good ancient woodland indicator species, whereas Wild strawberry tends to be less so. Another element of the course was learning to describe why a particular species had been identified as one thing rather than another. 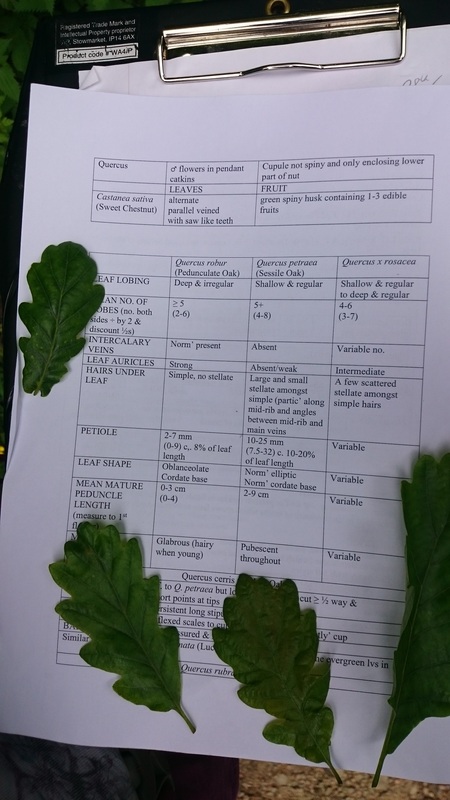 It was not enough to point at an English Oak (Quercus robur) and say what it was, we had to explain that it could not be a Sessile Oak (Quercus petraea) because there were intercalary veins (between the apex and the base) on the leaf, leaf auricles strongly present (ear shaped lobes), and a petiole length of approximately 2-5mm (that’s the leaf stalk). Interestingly, we found stellate (star shaped) hairs on the underside of almost all the English Oaks we looked at, suggesting that they were in fact hybrid oaks (Quercus x rosacea), albeit leaning strongly towards English Oak. 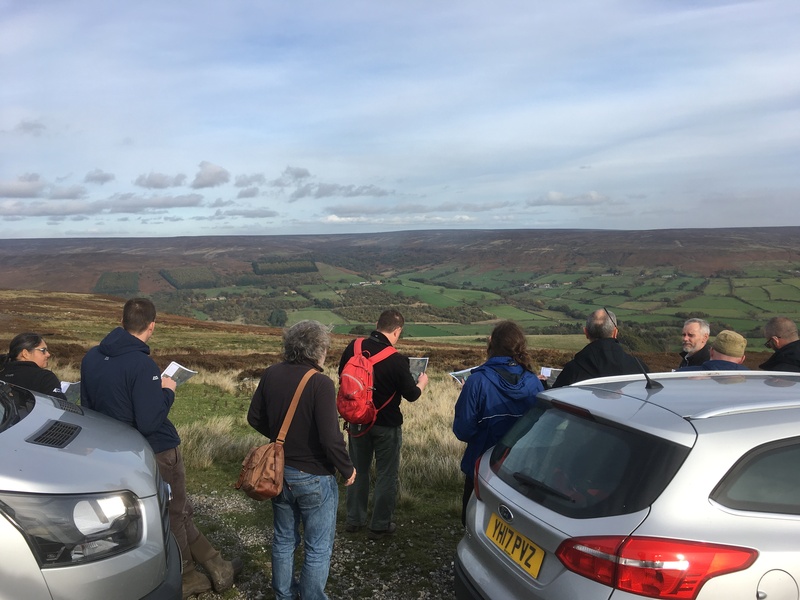 Many botanists currently rely upon Clive Stace’s New Flora of the British Isles for their plant ID, and recent taxonomic changes caught out some of the more experienced participants on the course who were more familiar with previous texts. Taxonomy is the hierarchical system used to classify organisms to a species level; it was initially developed during the 18th century and has been adjusted ever since. With the advances in genetic science a number of plants have been reclassified lately according to genetic, rather than morphological, similarity. For example, in the 3rd edition of Stace, Lime trees are now part of the Mallow family (Malvaceae) rather than having their own Tiliaceae family, the Maple family is now Sapindaceae instead of their own Aceraceae family, and Bluebells have changed from Liliaceae (Lilly family) to Asparagaceae (Asparagus family). Studying bryophytes was a completely new experience for me, and it was fascinating area to investigate. We looked at the main differences between mosses and liverworts, and then broke them down into acrocarpous/polycarpous (depending on location/number of reproductive parts on the plant) and thalloid/leafy groups (depending on plant structure or lack of it). This allowed us to more quickly use a key to then identify what we were looking at. Out of all the ones we identified my favourite was probably Thuidium tamariscinum; it is tripinnate (the layout of the leaflets) and regularly branched giving it a feathery, almost fern-like appearance. Ferns were also rewarding. We were able to break these down into groups based on how pinnate (compound leaves with leaflets on either side of axis) they were, and how the sori (clusters of sporangia in which the spores form) on the back of the fronds were shaped. For example, the Dryopteridaceae family we looked at were bipinnate and had kidney shaped sori arranged in a row on either side of the mid-rib of the pinnule (division/sub division of a compund leaf). Male-fern (Dryopteris filix-mas) was one such member of this family. 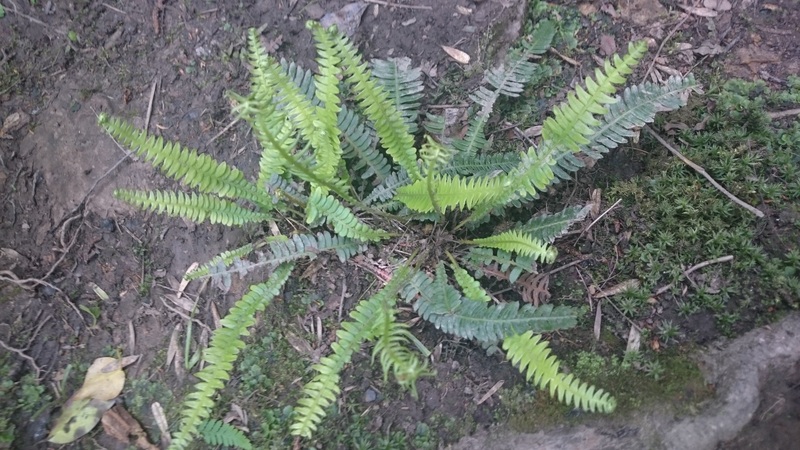 It was similar to the scaly male-fern (Dryopteris affinis agg.) but had fewer golden scales, lacked a small dark mark at the rachis (leaf axis) join and the pinnules tended to taper inwards more towards the apex. Grasses, rushes and sedges can also be ancient woodland indicators. Some of them, such as Pendulous Sedge (Carex pendula) are also common in gardens (and therefore liable to colonise woodlands through being dumped as garden waste), and this served to highlight the importance of always doing a broad survey of any woodland and not assuming it has ancient characteristics based on the presence of only one or two indicator species. The course finished with a two hour exam in which we had to identify and justify our reasoning for twenty different woody and herbaceous plants. Whilst two hours initially sounded like a lot of time, it meant only five or six minutes per plant, and the time quickly flew by! I actually enjoyed it. 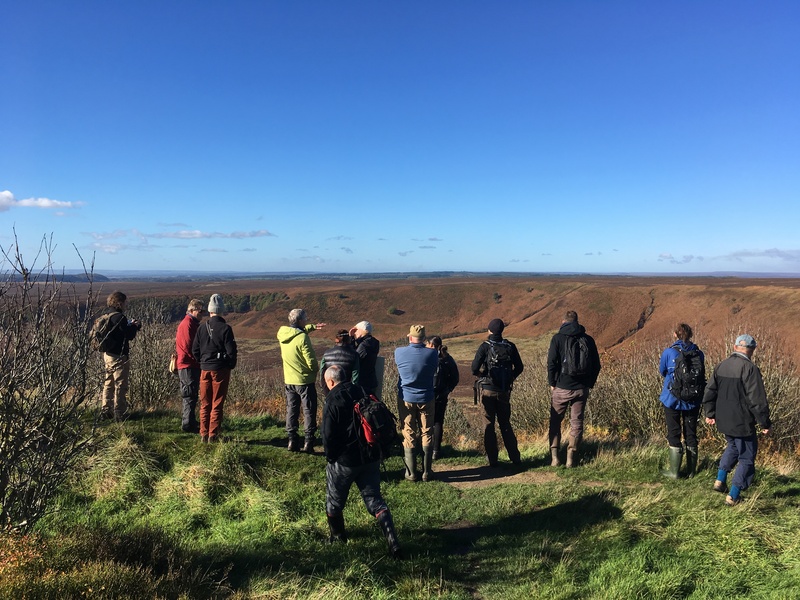 Despite having never previously looked closely at bryophytes or ferns before, let alone encountered terms such as calyx, panicle, auricle and glabrous*, the course had me completely hooked. Some people have dedicated their entire lives to studying single plant families, and new discoveries and species are not infrequent. 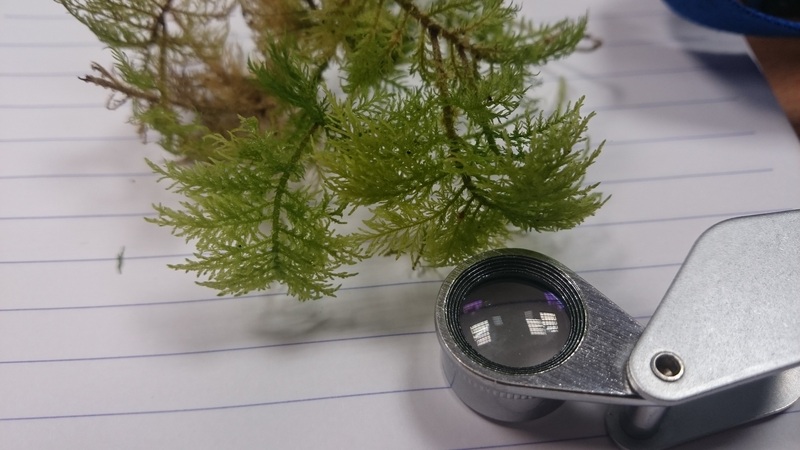 Now whenever I go into a woodland I’m going to be carrying a hand lens with me – if you do the same you might find that there is a whole world to discover. *If you want to find out what these words and a host of other botanical terms mean – try here. Please note that it’s always best to try and identify a plant in the field if possible – take an ID key and a lens out with you. Collecting small amounts of plant material for identification purposes is usually okay, except in the case of protected or (rare) Red List species. But please don’t pick plants if the population at the location is very small and may suffer as a result. If a specimen really is needed for identification, remove the minimum quantity necessary. Please note it is illegal to uproot most wild plants without the express permission of the landowner. During my placement year with the National Park I’m required to complete a research project. It was important to me to ensure the research will be useful for the National Park. So I am looking at the effects of deer herbivory* on the regeneration of broadleaf woodland on areas of selectively-felled conifers. * Herbivory is the eating/grazing/browsing carried out by herbivore species e.g. animals that have a diet composed entirely of plants. I am conducting research at West Arnecliff Wood near Glaisdale. 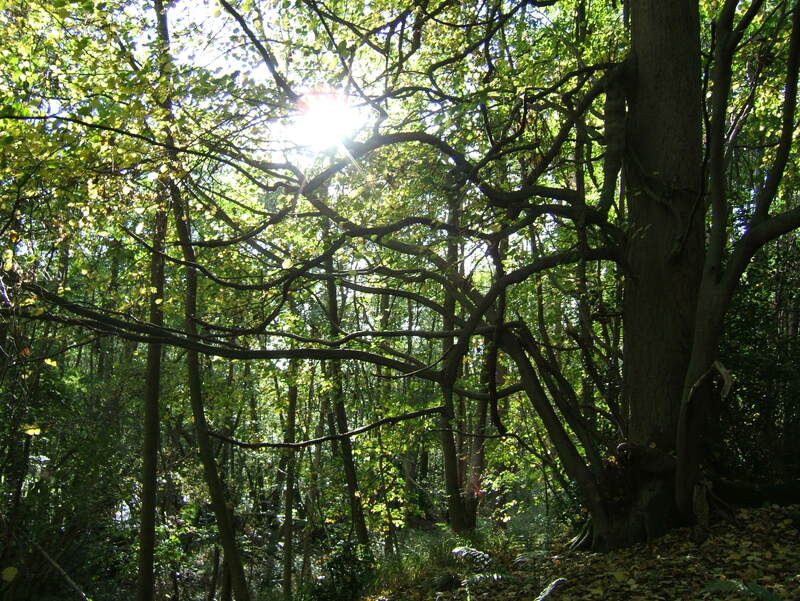 The woodland is designated as a SSSI (Site of Special Scientific Interest) and as a SAC (Special Area of Conservation). It is also classed as ancient woodland i.e. woodland has been present since at least 1600. 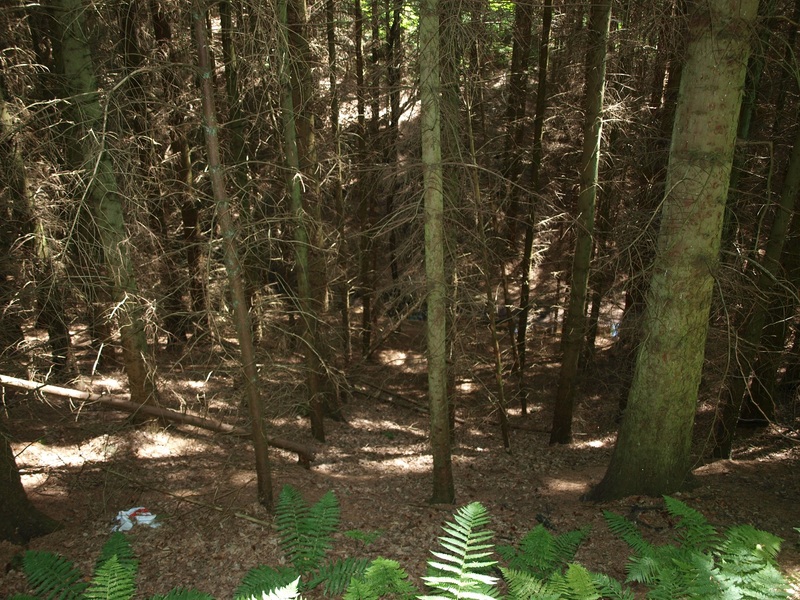 Six former conifer areas within the wood were chosen for the study – where conifers had been planted under established native broadleaf trees. 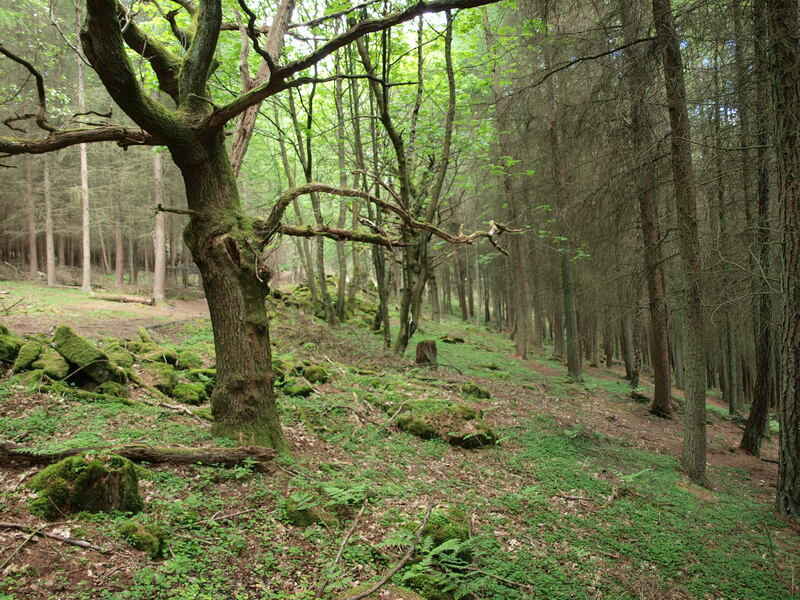 The conifers had been felled in 2011 to help restore semi-natural woodland conditions. The felled conifers were all c. 40 years old and were mainly Western Hemlock (Tsuga heterophylla), but also included Douglas fir (Pseudotsuga menziesii), Grand fir (Abies grandis), Scots Pine (Pinus sylvestris) and various Larch species (Larix sp.). 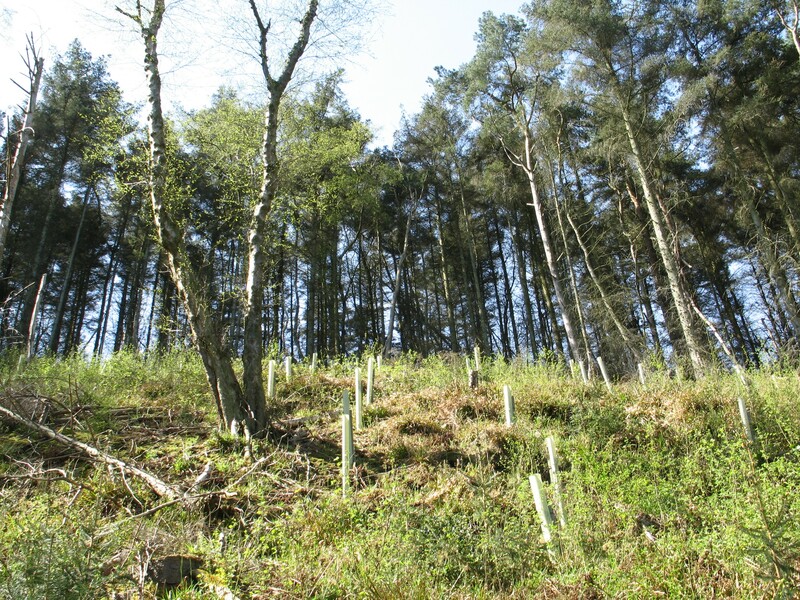 The removal of the conifers was part of the North York Moors National Park Authority’s long term efforts to encourage and support PAWS (plantations on ancient woodland sites) restoration. In the six former conifer areas in West Arnecliff Wood, twelve fenced areas have been erected to exclude deer. The number of deer exclosures erected in a selectively felled area was proportional to the size of that area, although this was not always possible exactly due to extensive brash cover. The deer exclosures needed to be erected on areas as free of brash as possible. Six of the fenced areas include rabbit wire to exclude rabbits, while the other six allow rabbits to enter. As much as possible the fenced areas were kept to 6 x 6 metres, although the size and shape do vary because of obstacles on the ground. A 4 x 4 metre quadrat has been created inside each fenced area to standardise the survey area. A 4 x 4 metre unfenced quadrat has been created next to each deer exclosure on similar vegetation to act as a control. I completed the first vegetation surveys in March, and I will be carry out another series of surveys in the summer to compare plant growth within the fenced areas and without, in the unfenced areas next to them. I recorded lots of data during my surveys this spring, including the percentage cover and mean height of each species of plant in the quadrats, and the number of deer bites per species. I also recorded background data such as the number and species of mature trees within 20 metres of the quadrats so that the surrounding tree seed source is known. Geological data such as soil depth and the percentage cover of rocks/brash was also recorded. 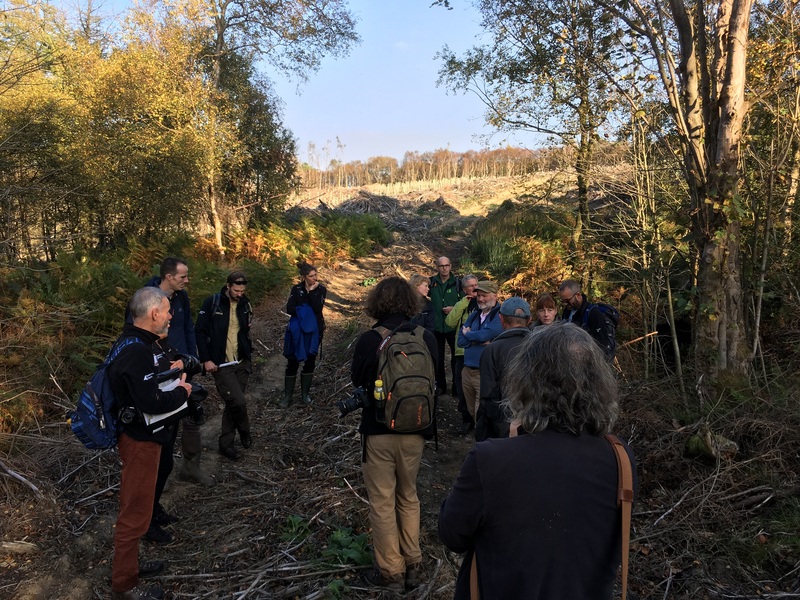 The results of my research will inform the National Park Authority’s methods of PAWS restoration so as to ensure that once conifers are removed the long term regeneration of broadleaved ancient woodland species is given the best chance of success. A week or so ago as part of my induction to the National Park Authority I accompanied Mark the Woodland Officer to plant oak trees at Keldgate on Levisham Estate. 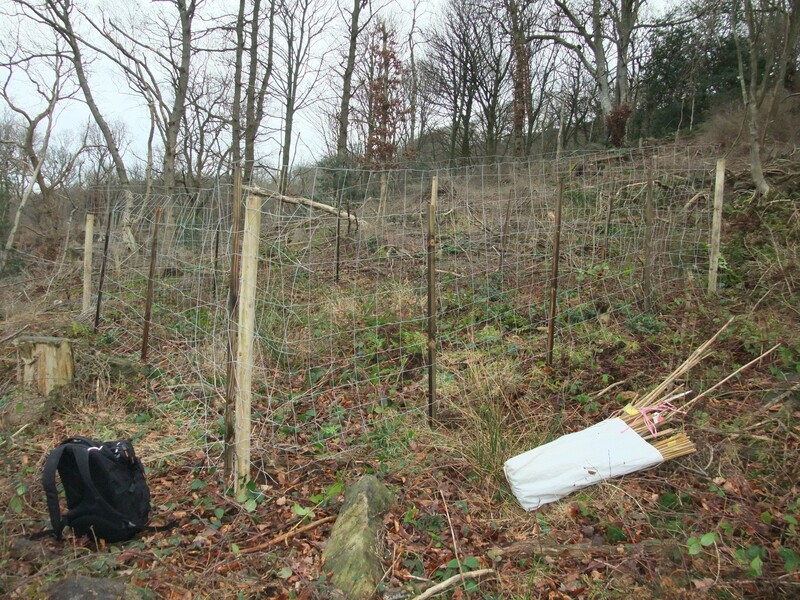 Part of the area was PAWS (Plantation on Ancient Woodland Site) and the conifers had previously been harvested. 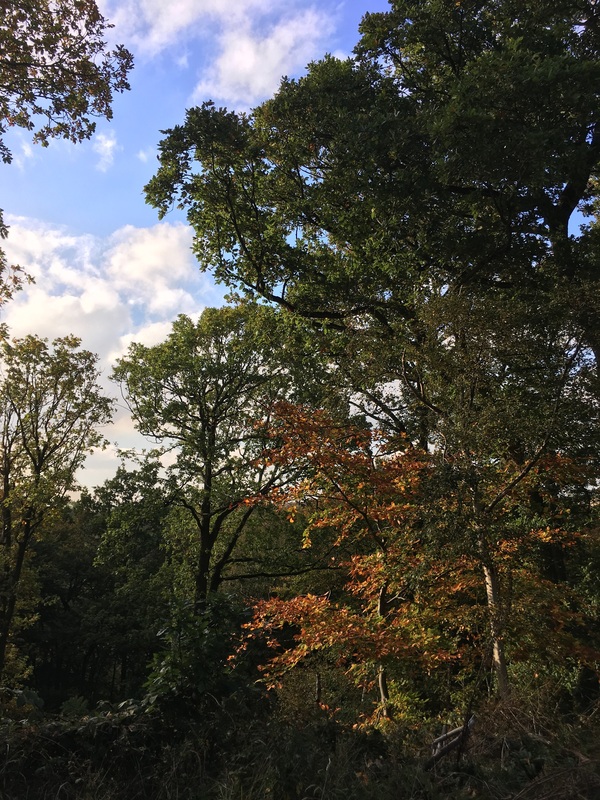 The aim is that the surviving woodland ground flora will spread now that the ground shading conifers have gone and with some tree planting and natural regeneration the site will become a semi natural woodland habitat again. I made sure I came fully prepared with man-flu, a borrowed jacket (thanks Amy Thomas) and inappropriate trousers – as is to be expected for an office boy let lose in the field. 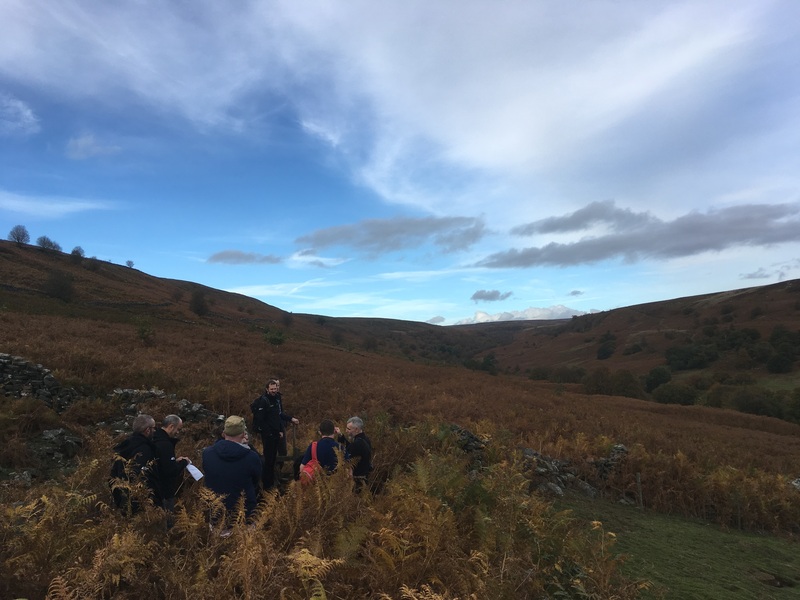 After meeting the Rangers and Apprentices on site, we continued the previous good work of the National Park Volunteers by planting more new trees and so helping restore the wood to how it would have been centuries ago before the recent introduction of non-native conifers. Despite the early efforts of the rain, I had a great day learning about woodland conservation, watching the occasional steam train trundle by and generally putting the world to rights as we dug holes, planted saplings and hammered in stakes.